Recently, I had an old client come forward and ask me to do up a quote on a few marketing items. Unfortunately, in the second sentence of this email, the client was quick to tell me that they didn’t have a budget, that they didn’t want to spend a lot of money on revamping their content, but still needed to have it done. Essentially, they were asking for a huge discount. Had this been a few years back, when I used to devalue my business, my talent, and my value, this would not have been an issue. However, because I have grown as a business owner, I was able to sit down and talk with this client about what they really needed, why they needed it, and how we could make things work for them, in a way that I stayed true to my business and services without devaluing them. In talking with them, I was able to discover that there was a bigger issue than merely revamping their marketing items – but this is a whole other story. 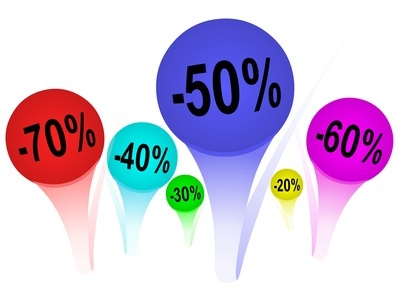 Are you constantly discounting your pricing if a client asks you to lower your fees? If you are, that’s okay, but there are different strategies to try first. Still quote based on the true value you provide. You will probably get push back on pricing. What I suggest is that you offer them solutions for payment terms. Ask them how could it work so they can still receive the proper value of your service, but they don’t have to pay in one or two lump sums. You can work out a payment schedule over a few months. I’ve done this with a few clients and it has worked brilliantly! If the client truly sees the value in your work, then they will be open to paying the actual price of your fees over a period of time through post-dated cheques, automatic withdrawals from their credit card, etc. There are ways to make it work if the client truly wants to work with you, but is unable to pay right away. HOWEVER, if the client is just looking to get a discount because they don’t see the true value, then they will say no, and walk away. These are tire kickers and you most likely don’t want to work with them anyway. Why? Because they’ll keep trying to get a lower price and these type of clients typically only refer other discount shoppers as well. By being upfront and unwavering in your business and your value, you will demonstrate that your company is worth the fees that you are charging. In the long run, this will help you build your business with those clients that want your service and are committed to receiving the benefits of your business. It’s all about making things work with those who want to truly work with you. AND , they will become your most loyal clients. How have you seen the value in your business and overcome your own “devaluing” habits? I would love to hear your story! Feel free to contact me at lindsay@thewriteharle.com!